Need a study break? Connect with friends for a quick cup of coffee! According to Nestle Family, the caffeine in coffee can increase energy and mood as well as enhance your short term memory and improve concentration, making it the perfect addition to any hard day of studying. So stay energized and grab a drink! 1. Colectivo: Newer to the Madison area, Colectivo sits at the corner of Pinckney & Main and offers a wide variety of coffee, espresso, smoothies, and bakery items. They also serve breakfast all day and have a wide variety of sandwiches and soups. 2. Espresso Royale: With 2 locations on State Street, Expresso Royale is one of my personal favorite places to grab a cup of coffee in Madison. They offer a wide variety of coffee, tea, and bakery items, making it an ideal place to relax for its main item, espresso. They also offer different daily deals and a Coffee Club punch card, so get your 11th cup free! 3. 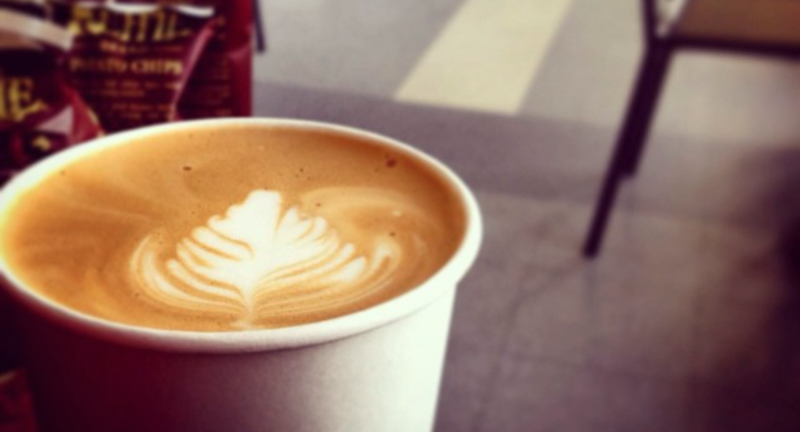 Coffee Bytes: Coffee Bytes is owned by two graduates of UW-Madison. Conveniently located on East Campus Mall, it is an ideal spot for a coffee break between classes. They offer great coffee, tea, and smoothies as well as breakfast and lunch items. Excitingly, they also have different special drinks every month. This month, you should try the Toasted Marshmallow Latte!